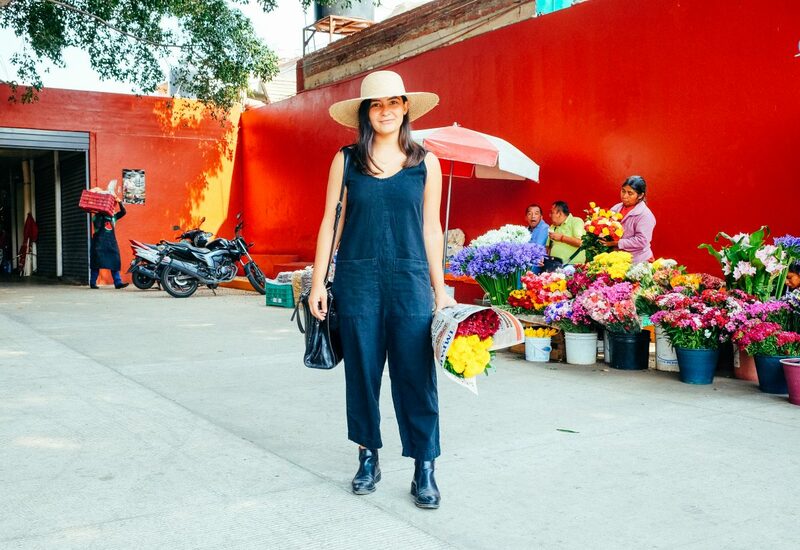 Owner of Suculenta and Partner at BoulencWe walked the aisles of a Oaxaca market discussing what first drew her to the city and why it continues to amaze her, and how she is taking bold leaps to preserve Oaxaca’s diverse food culture and to promote the economic independence of the people who grow it. 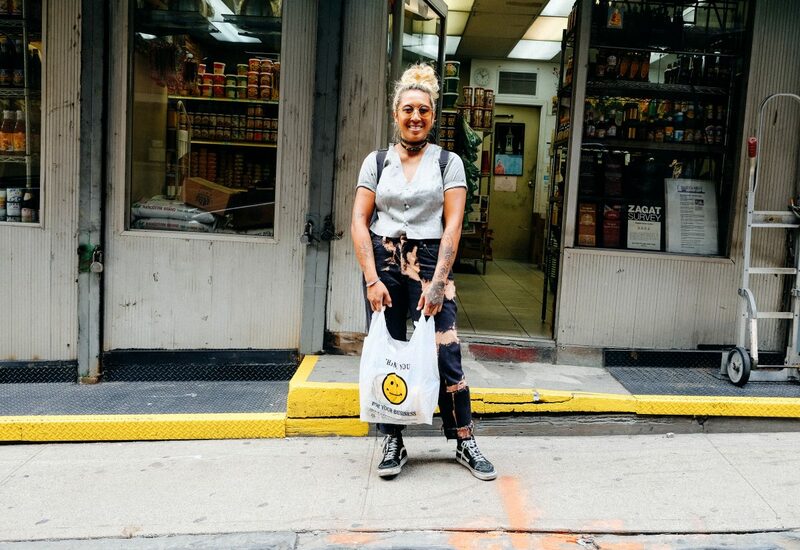 Artist and ChefI met up with Amanny Ahmad in the East Village to dive deep into conversations surrounding her upbringing in the U.S and Palestine, the vulnerable history and culture of food there, and why Dual Spices market is her favorite go-to place for ingredients. 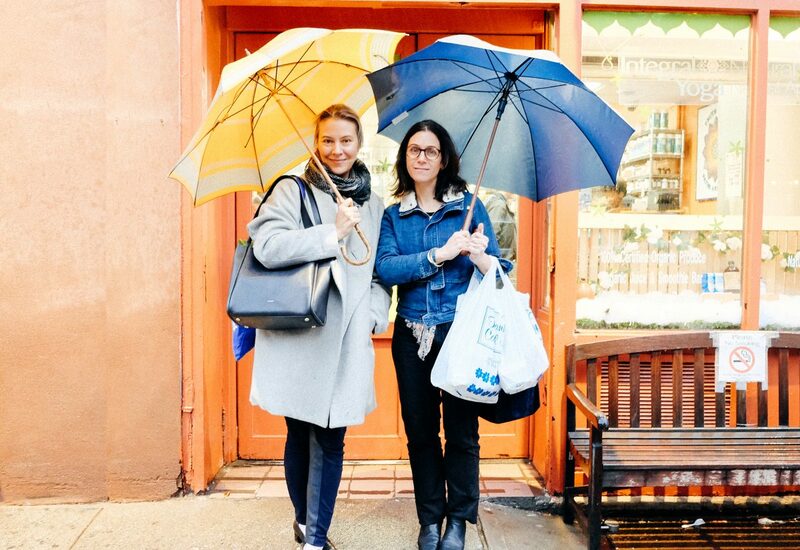 Senior Editor of New York Magazine's Grub StreetI met up with Sierra Tishgart, Grub Street’s Senior Editor, for a walk down some of her favorite West Village grocery aisles. 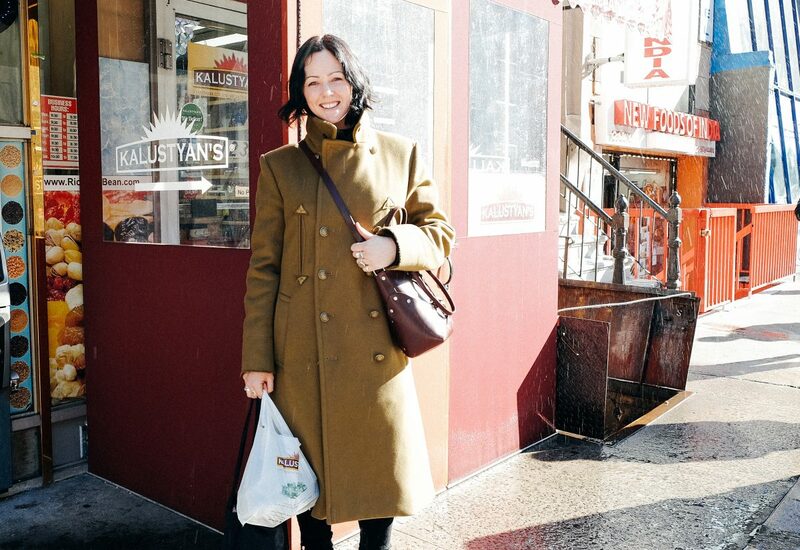 Sierra has profiled some of my favorite chefs and up and coming establishments in NYC, so I knew I was in for a treat when she showed me where she personally stocks up on some of her favorite ingredients. 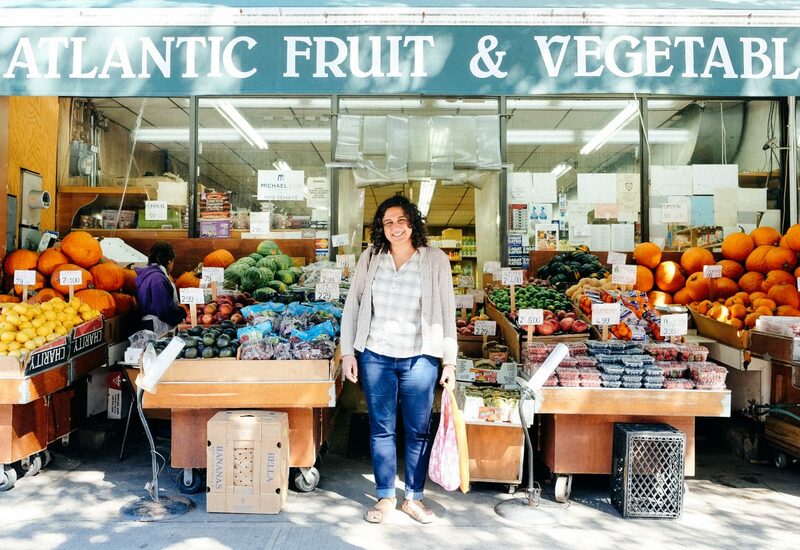 Senior Designer at Bon AppetitWe walked around Fort Greene's farmers market to talk all about those delicious and "healthful" meals she creates. 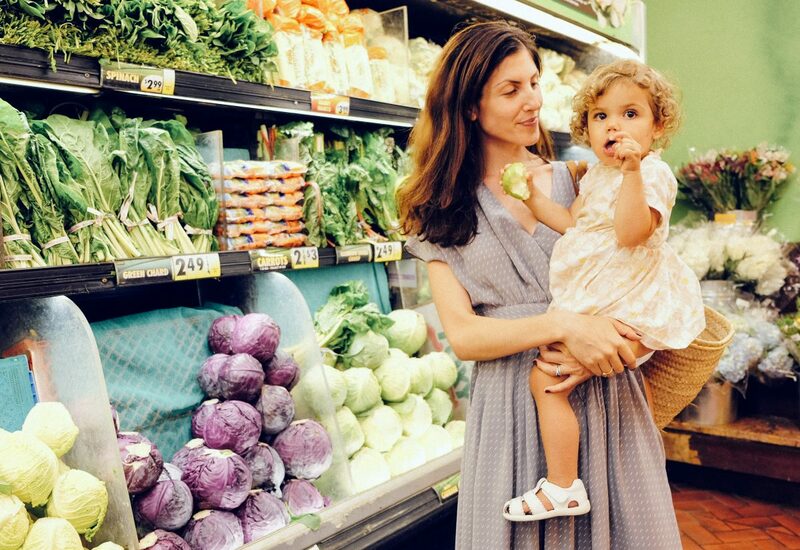 Alaina's approach to home cooking has led me down the path of learning more about common and often overlooked ingredients at the markets that are rich in nutrients and easy to add to my routine of simple at home recipes. of Kreung CambodiaWe met up with Chakriya at Bangkok Center Grocery in Chinatown, where we discussed perfecting “kreung”, which she refers to as the “mother paste” of Cambodian cooking; the power of cooking to connect with one’s heritage; and her future plans, which include raising funds to improve conditions on her family’s farm in Cambodia. of Bread on EarthLexie Smith and I met up at Union Square Green Market specifically to buy fresh bread flour. 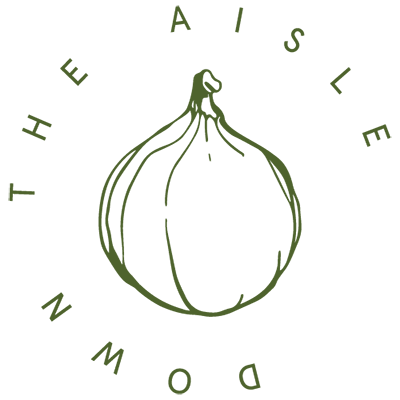 Our interview is an honest and introspective look at her evolution and journey from farmer to cook to artist and baker. 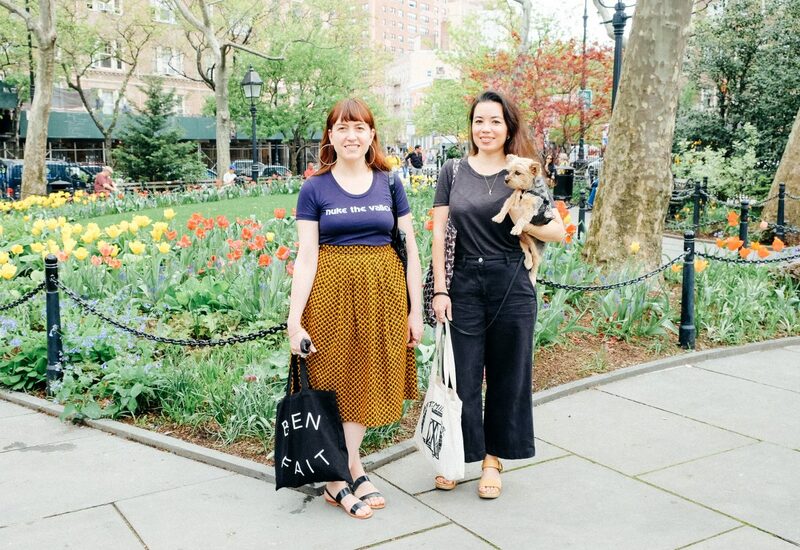 of CAP BeautyWe went for a West Village grocery shopping adventure with wellness and natural beauty gurus Cindy and Kerrilynn of CAP Beauty. 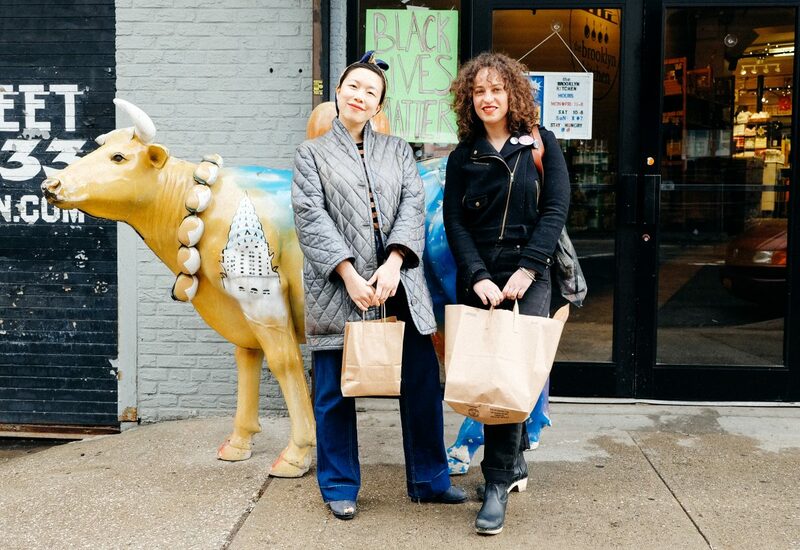 These two ladies have always unearthed and curated some of my favorite products throughout the years, so I knew I was in for a treat when they took me for a trip down the aisles at one of their local spots. Co-Founders Michele Outland and Fiorella ValdesoloFull of humor, honesty, amazing recipes, and 2 egg techniques that I have officially adopted into my routine, co-founders Fiorella and Michele chatted with me about their newest issue, “Heroines”, which is full of incredible stories and recipes based on creative and inspiring women from the past and present. 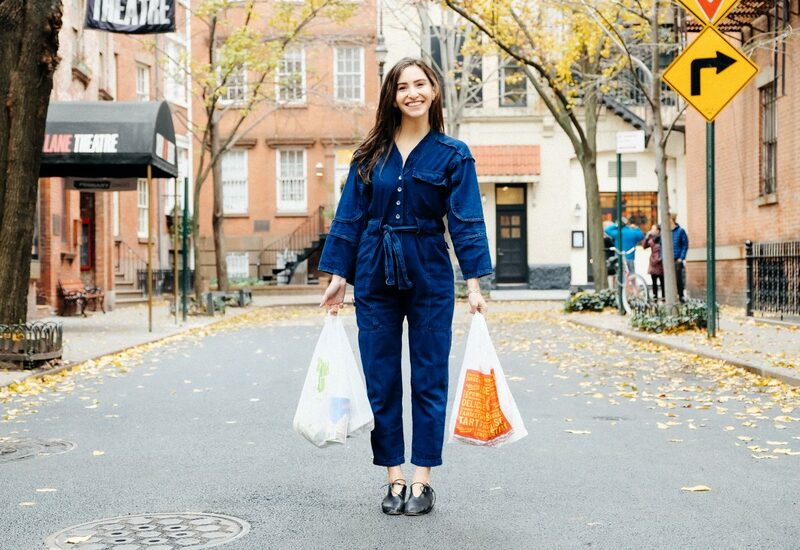 Personal Chef to Marc Jacobs and Co-Founder of bigLITTLELauren knows markets like the back of her hand, which became very apparent as we walked around one of the most inspiring markets in NYC, Kalustyan's. 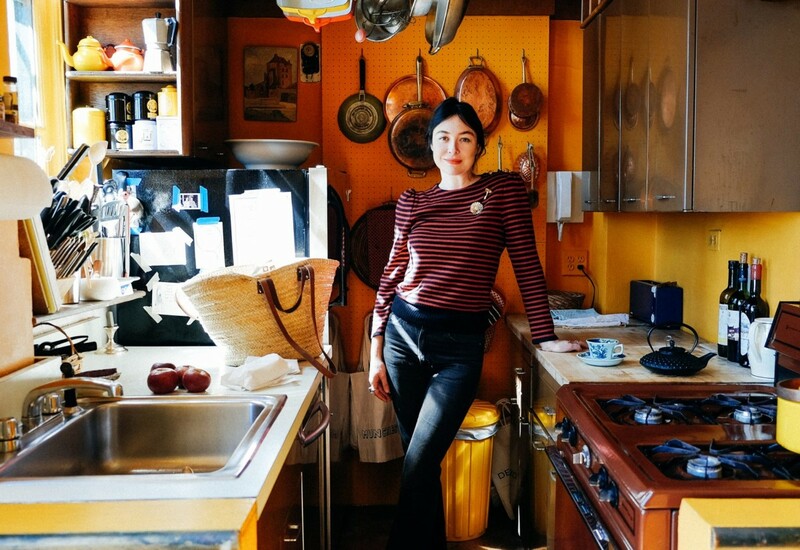 We talked about cooking for one of the fashion industry’s biggest names, her least favorite dried fruit, and how her mother’s signature dish continues to inspire her to this day. 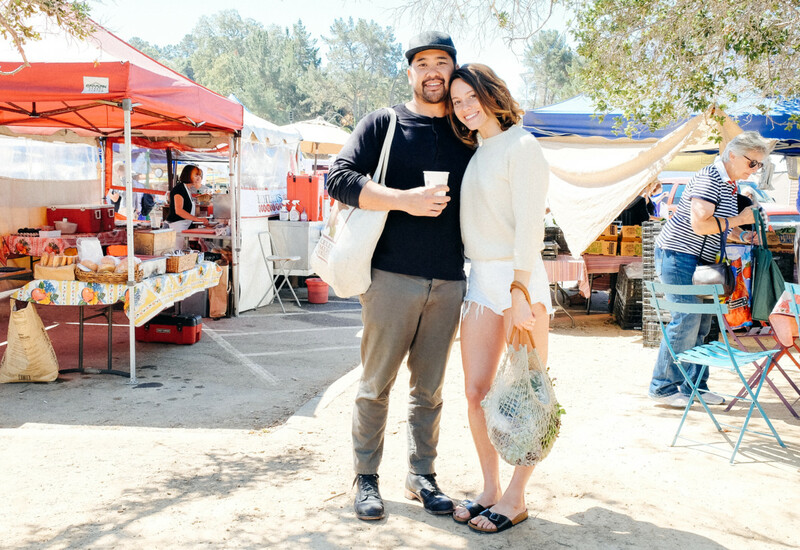 of Botanica Restaurant and MarketWe strolled through the sunny streets of the Hollywood Farmers market with the owners of the freshly opened market and restaurant Botanica food. 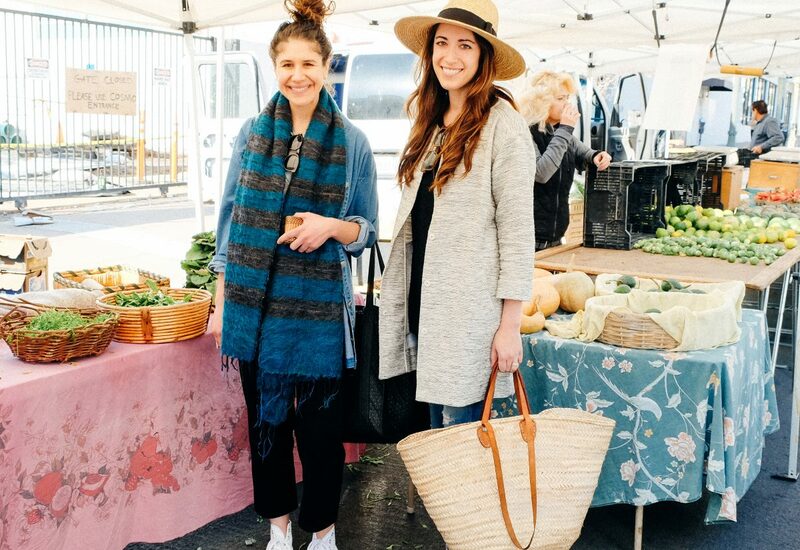 Co-founders Emily and Heather will be sharing their stories of starting a business as friends, how they've been getting high on community, and some incredible produce buying tips. 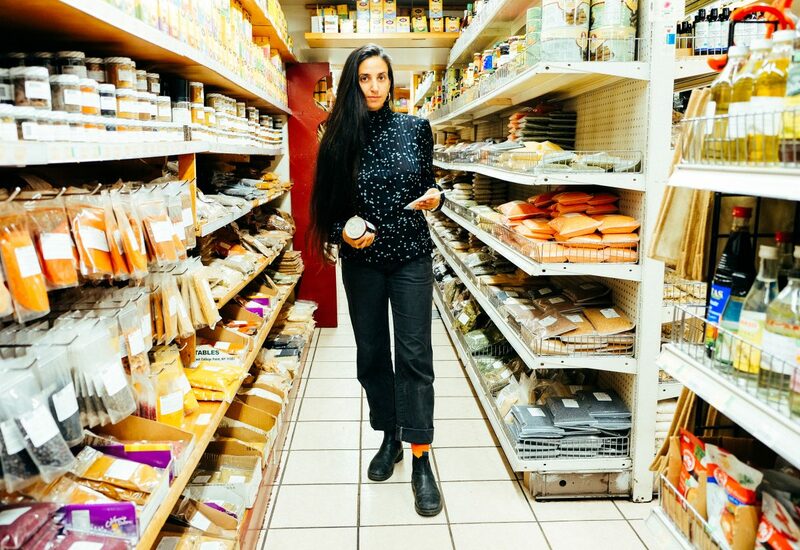 Food Writer, Restaurant Consultant, and Partner at the Restaurant MettaAs a food writer born and raised in NYC, Tarajia took us to some of her favorite old-school spots to talk about cooking with love, the future of food, and her new partnership with the recently opened Brooklyn restaurant Metta. Chef and Author of "Salt, Fat, Acid, Heat: Mastering the Elements of Good Cooking"I met Samin at an understated gem of a produce market on Atlantic Avenue to discuss her days at Chez Panisse, her cookbook released this week, and what three ingredients she always has on hand in her fridge. Food Writer and Author of "Dining In"I brave the snow to meet up with the incredibly humble and talented writer and author Alison Roman. 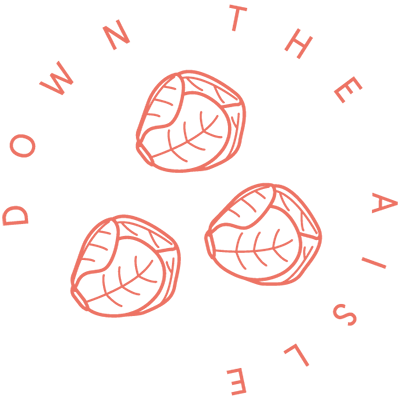 Alison's approach to cooking is as laid back and genuine as she is. Her cookbook, Dining In, is due out later this fall. 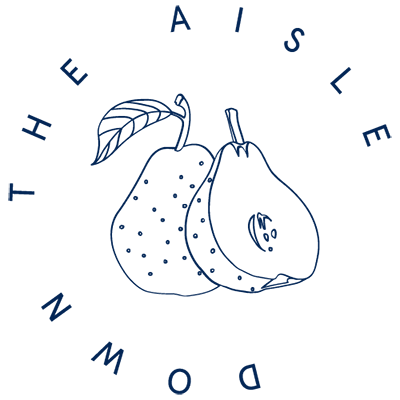 We talked about her favorite grocery stores in NYC, whats on her list at Sahadis market, and her tips on how to host a successful dinner party. of Canyon CoffeeWe head to the West Coast to stroll through the Santa Monica Farmers market with Ally and Casey of Canyon Coffee. 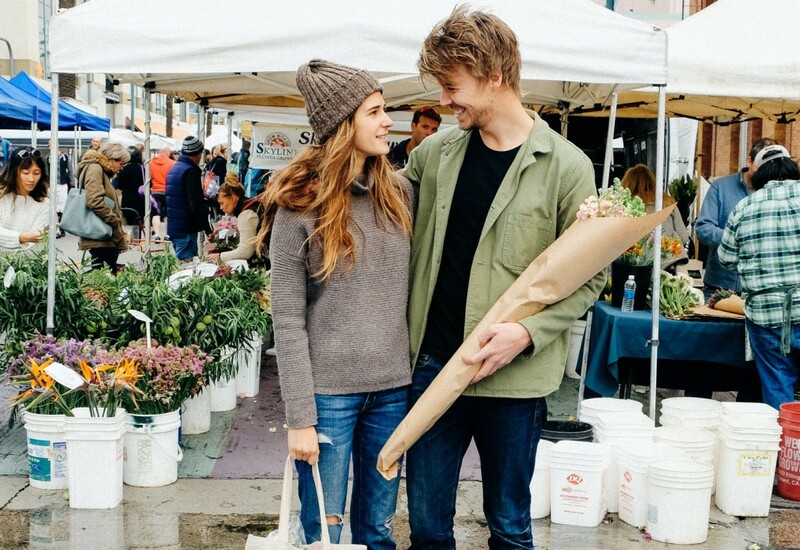 These two laid back business owners walk us through their favorite grocery routine and share their secrets for making the best cup of jo. 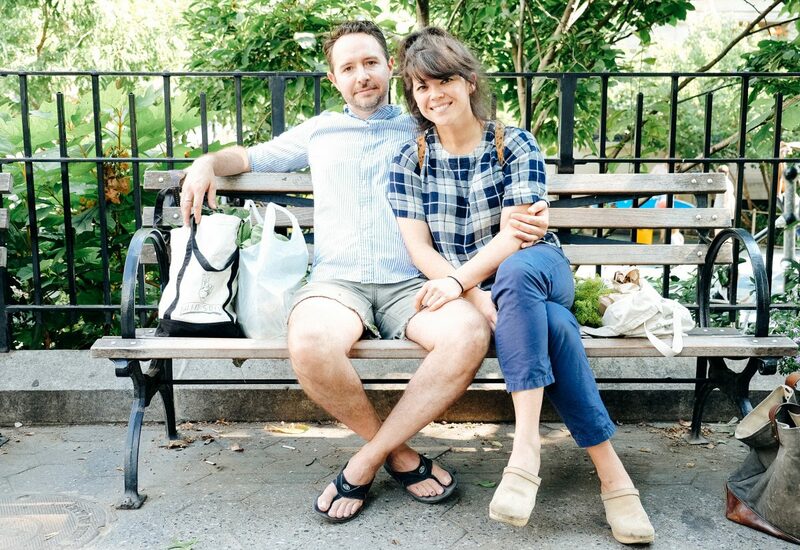 of BRVTVS and CalliopeWe followed Caroline through Union Square Farmer's Market in NYC to talk about burger rituals and slipping booze into your morning cup of jo. 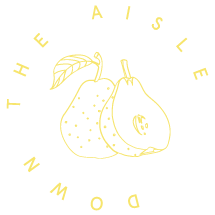 Owner and Head Chef at Mister Jiu'sWe follow Brandon Jew and his wife Annabelle through the abundant San Rafael farmer's market to talk about debunking Chinese food stereotypes and the power of Judy Rodgers as a mentor. 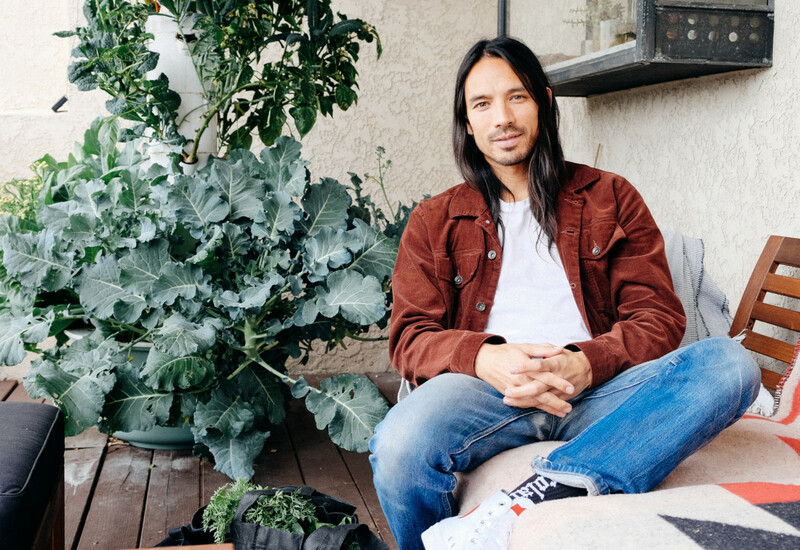 Professional SkateboarderWe followed Kenny around his local farmers market to discuss eating for your mental and physical health, vegan food adventures on skate trips, and why taking the time to connect with yourself is his best advice. 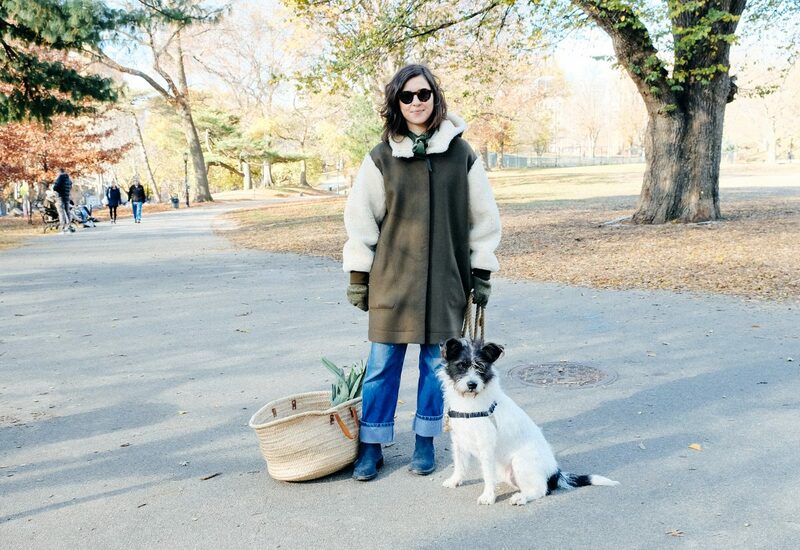 Artist and Founder of Salad for PresidentWe joined Julia Sherman; artist, writer, and founder of the blog “Salad for President”, for a walk down the aisles at the Fort Greene Greenmarket, where we talked about her favorite lesser-known grocery stores across the country, tips for finding deals on organic produce, and her discovery a holistic art practice through salad. 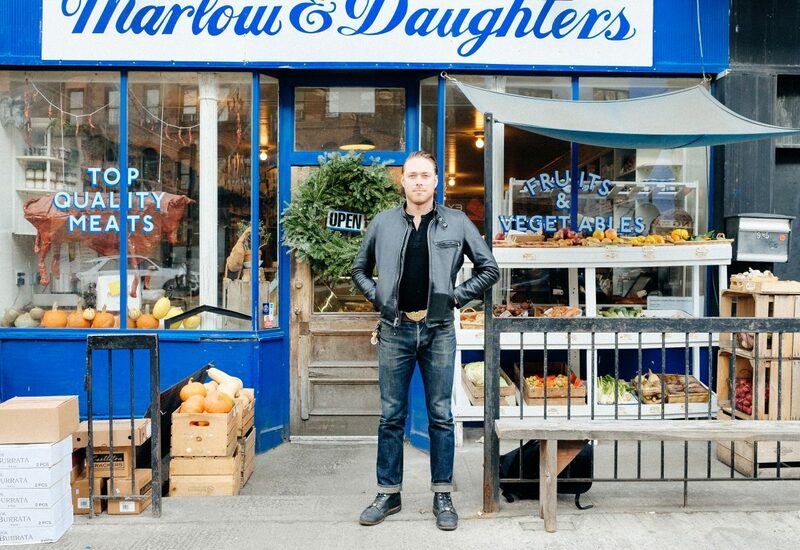 Head Chef at Achilles HeelWe met up with Lee Desrosiers at Marlow and Daughters in Williamsburg to talk about his meticulous search to do more with less, the importance of knowing your farmer, and why there’s a lot more to meat than just finding the right cut. 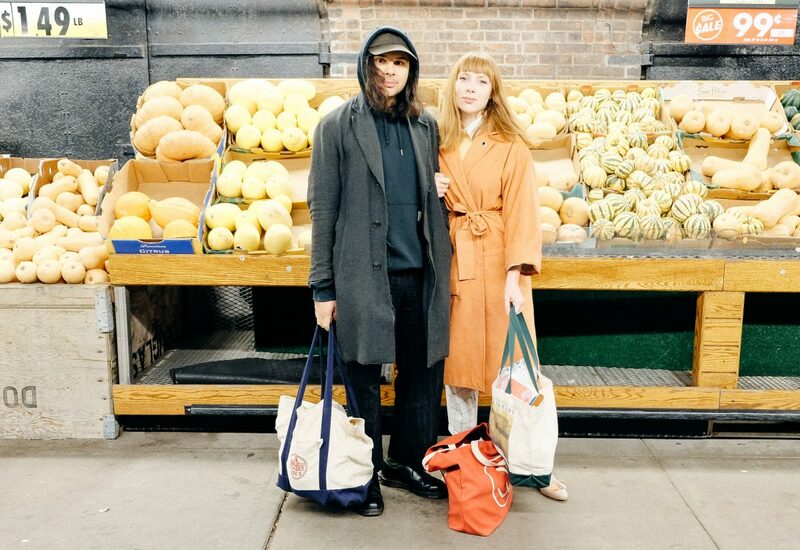 Landon: Artist, Hannah: Clothing Designer and Owner, H.K.M.We meet up with the artistic duo of Landon and Hannah Metz at Fairway Market to talk about hippie plates, first dates, and the charm of rice and beans. 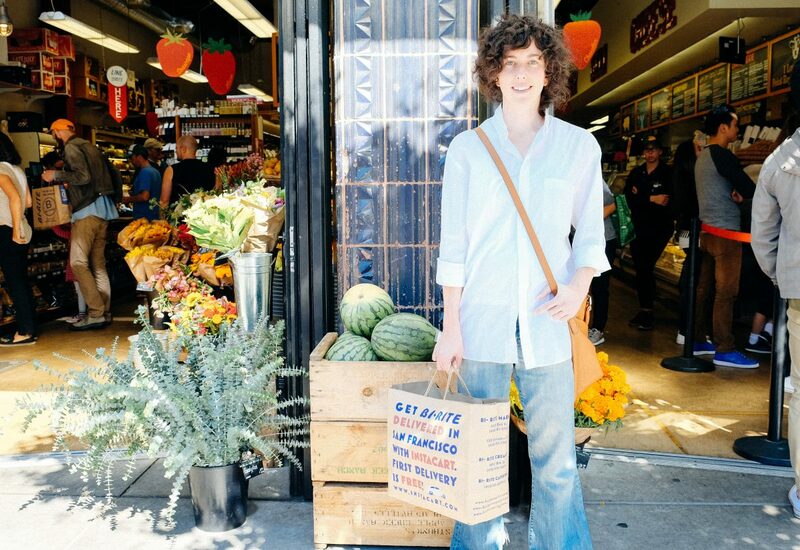 of The Good Food Awards and Slow Food NationI met up with Sarah on the busy and popular Divisadero Street in San Francisco to talk about her local go-to spots, kitchen wisdom from her grandparents, and how she manages to juggle so many jobs while still eating well. 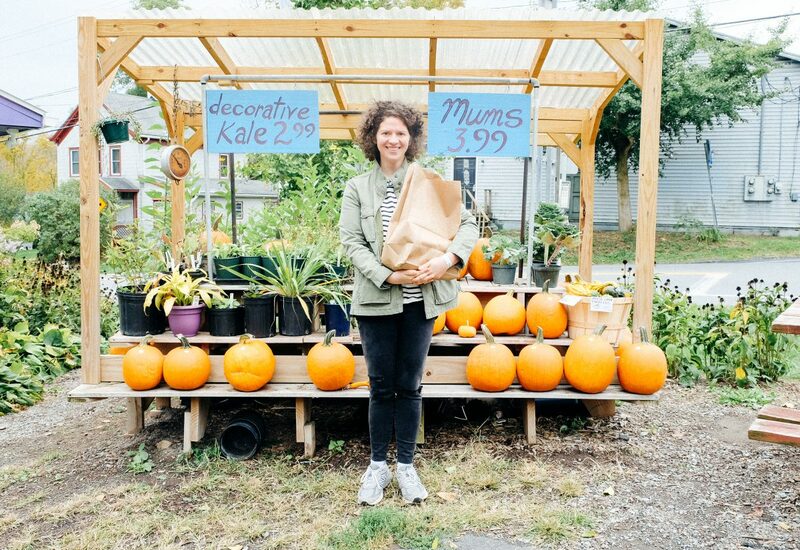 Author of Small VictoriesWe headed Upstate to visit Julia's local co-op and talk about the creative mindset, lunchtime rituals, and the process of writing her new book, Small Victories. 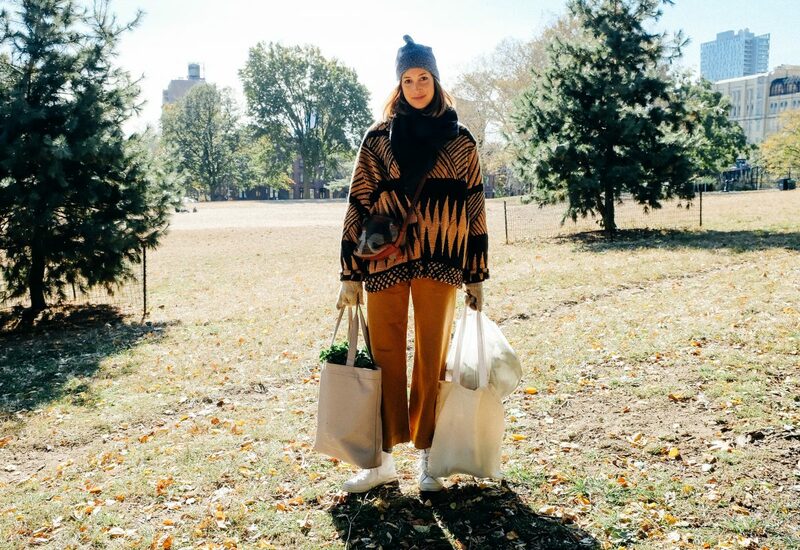 Food Director at Bon AppétitWe met up with Carla in Fort Greene at her neighborhood market to discuss favorite holiday recipes, her go-to items each week, and how parenting in the age of social media has reminded her to live in the moment. Owner and Head Chef at KronnerburgerWe meet up with Chris Kronner in Oakland to discuss sustainable meats, tasty weeds, and cheeseburger economics in the Bay Area. 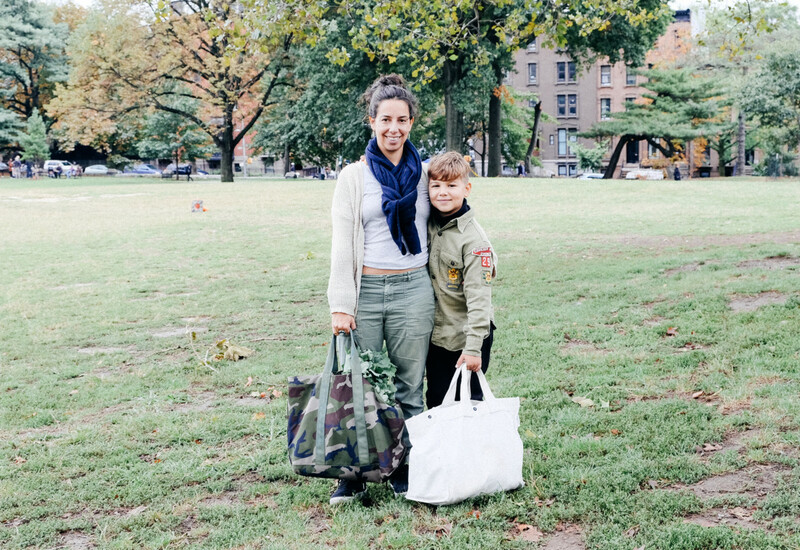 of Calico WallpaperWe meet up with Rachel and her daughter Willow at Fairway Market in Red Hook, Brooklyn to talk about the new routines of motherhood and why location matters when creating positive memories for her family. 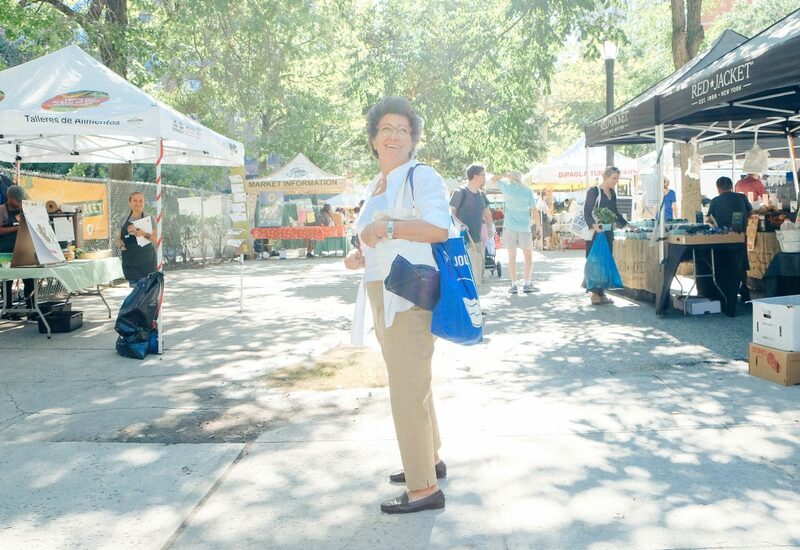 Founder and Owner of GustiamoWe followed Beatrice around the 97th St. Greenmarket to discuss bartering her olive oil for vegetables and the power of storytelling through food. 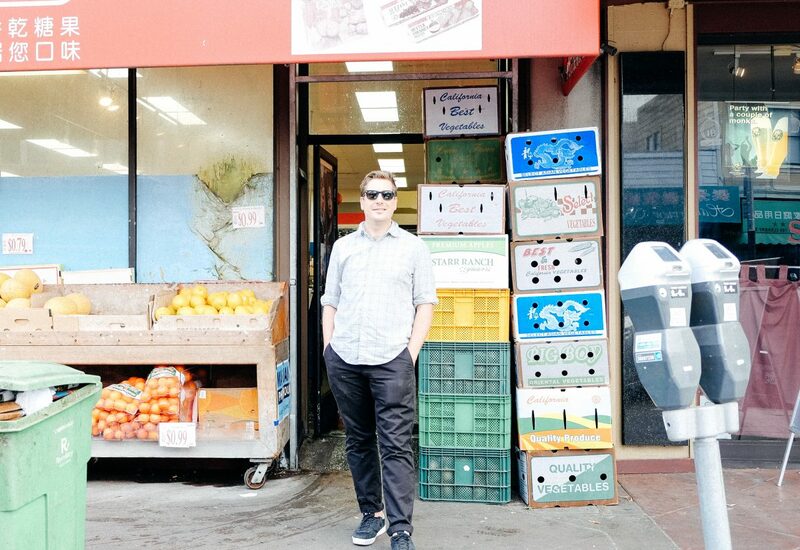 Owner and Head Chef at Joint VentureWe walked with Danny Newberg of Joint Venture through Chinatown in NYC to talk about how to spot the freshest fish, the adventure of starting a new business, and why it's not always about the food. 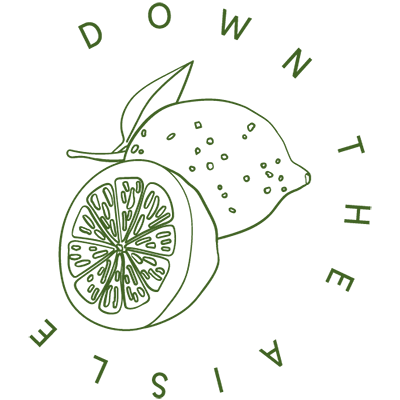 Alissa, Sophie, and Sabrina of Dimes Restaurant, Deli, and MarketWe met up with the owners of Dimes to talk about their weekly grocery lists, kitchen disasters, and how actually sitting down for dinner together well is worth the effort. Natasha: Head Pastry Chef at Altro Paradiso; Paul: Sous Chef at Gramercy Tavern, Butcher at Marlow and DaughtersWe caught up with Natasha Pickowicz and Paul Wetzel in one of their routine early morning strolls through Union Square Farmer's Market to learn more about deal hunting and splurge-worthy seafood. 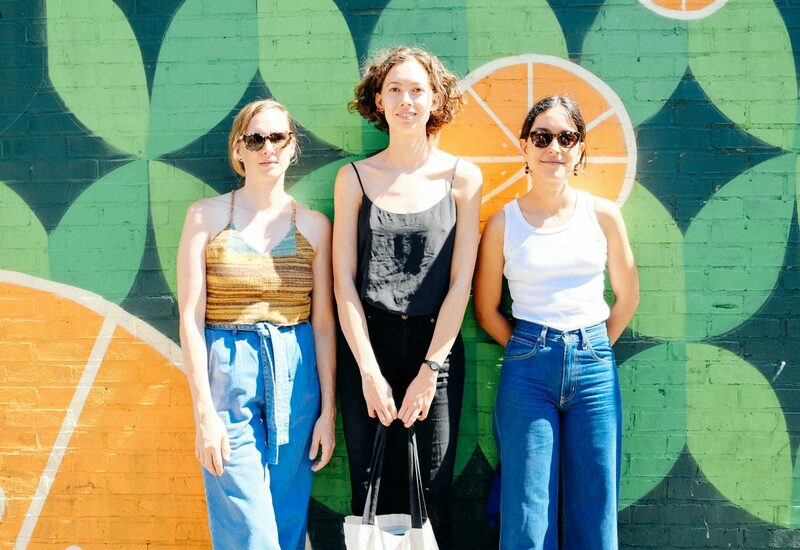 Founders of Sky Ting YogaI hung out with Krissy and Chloe at Dimes Market in Chinatown while we talked about late night meals, wine pairing, and being your boyfriend's cooking guru. 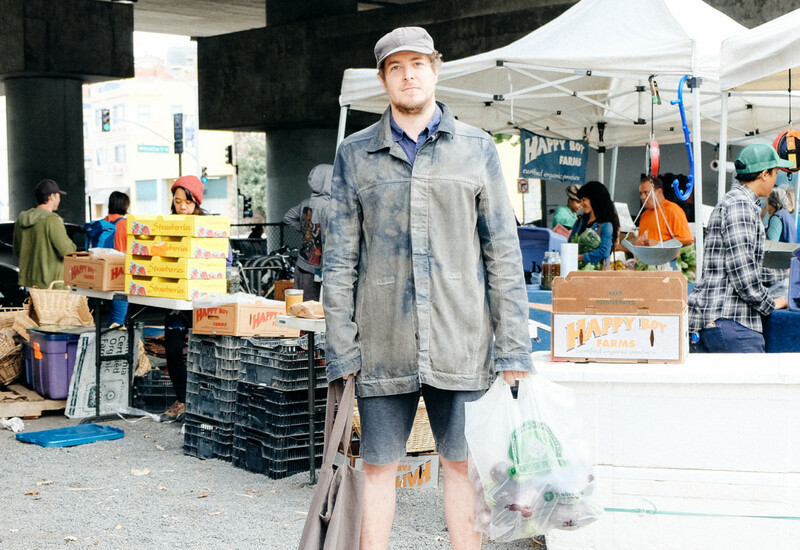 Head Chef at Tartine ManufactoryWe followed Tartine Manufactory's new chef to SF's Inner Richmond neighborhood to talk about getting out of debt, corn nuts, and the best three dollar knife you can buy. 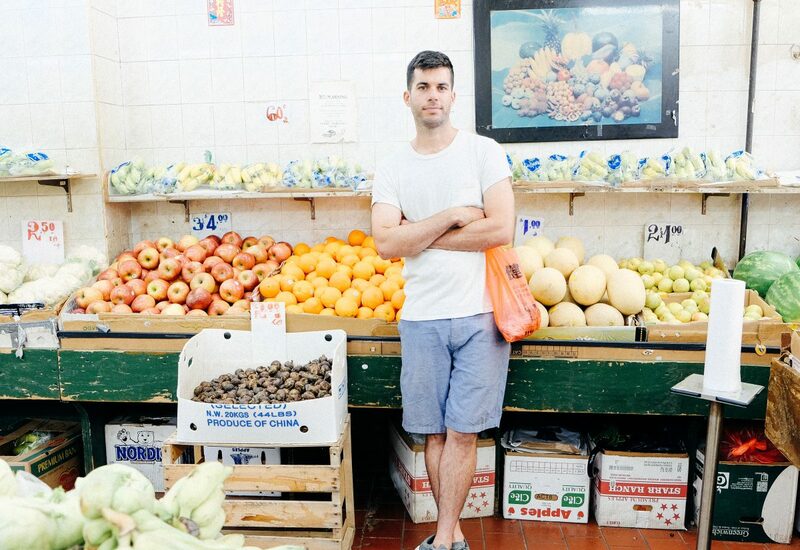 Co-Directors of Food Book FairWe get real about food books, restaurant culture, and how being the child of immigrants can shape your palate at an early age. 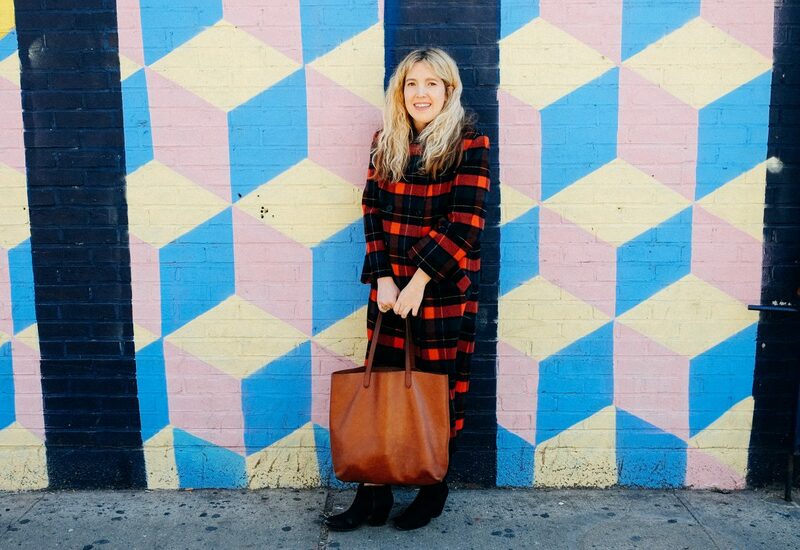 Editor-in-Chief of Vice MunchiesI headed to Essex Street Market to meet up with the hilarious and charming Helen Hollyman. We chatted about how being a seventh generation Texan influences her shopping routines, how she is SO over the Poke bowl trend, and why you should be too, and the upcoming Vice Munchies Cookbook due out in October.